Today Slavic languages are spoken in Eastern Europe, in countries like Russia, Poland, Czech, and Serbia, to name a few. But almost a thousand year earlier there lived Slavic speaking tribes close to today’s Netherlands. See the map below and compare it with today’s political borders. Slavic languages on the map. The oldest runestones in Sweden are written in a language that was called Old Scandinavian (or Proto Norse). In that time the language was understtod throughout Scandinavia. Järsberg runestone, 1400 years after it was written. 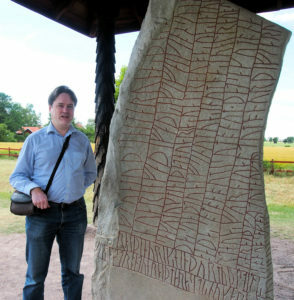 I visited one of the runestones in Järsberg, Sweden, in the summer. 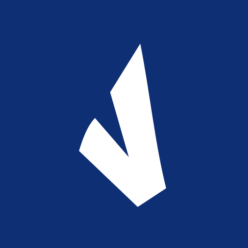 And I encountered a verbform that is still easily read today: ᚹᚫᚱᛁᛏᚢ writu (write). So despite the almost 1500 years there is still something very common with the language. 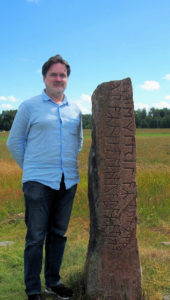 I visited during the summer holidays the perhaps best known runestone in Sweden. The stone is called “Rök runestone” and has both an impressive size and a lot of Runic Swedish in its inscription. Runic Swedish was the predecessor of today’s Swedish and it was spoken 1000 years ago.